Mr Asaduddin Owaisi said, “The TRS will form a government on its own without any external support and our party will not join the govt. Hyderabad: AIMIM Chief Asaduddin Owaisi cleared his party’s stand on the post-election alliance with the TRS and said his party will not join the government. He claimed that his party not only retain its seven seats, but additionally it will also win the Rajendranagar seat. Criticising UP Chief Minister Yogi Adityanath, the Hyderabad MP said no one can force him or any Muslim to flee from the country. 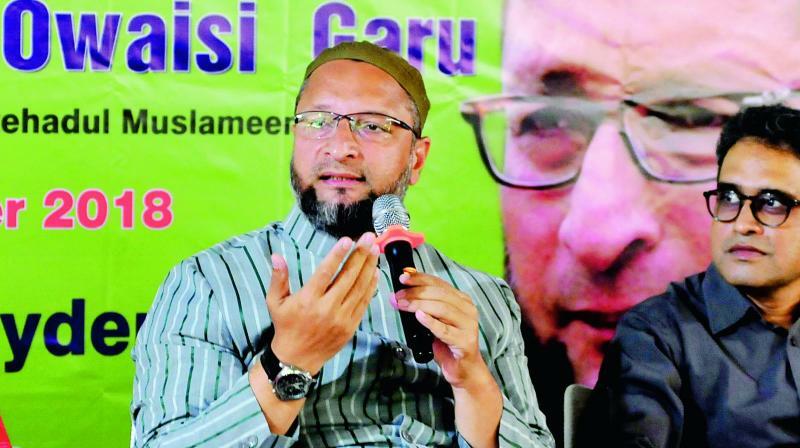 Mr Asaduddin Owaisi on a question about his party’s stand on national level, said India’s politics cannot be bipolar. India’s diversity is very huge, unfortunately or deliberately, India’s diversity is not being represented by the Congress and the BJP.